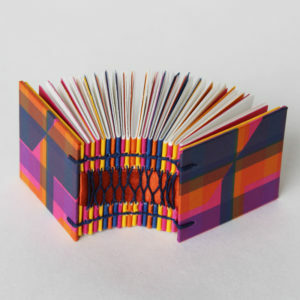 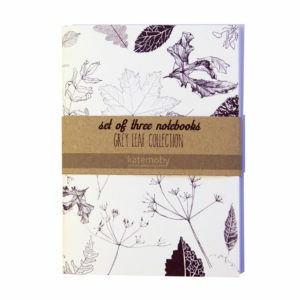 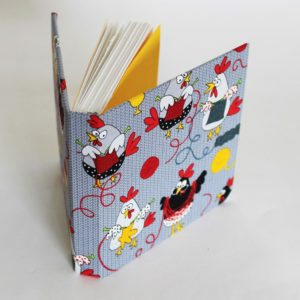 This colourful book comes with is own with matching slipcase. 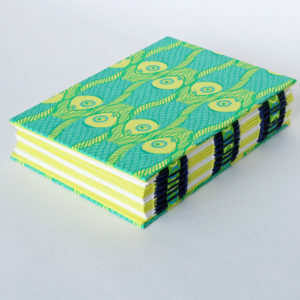 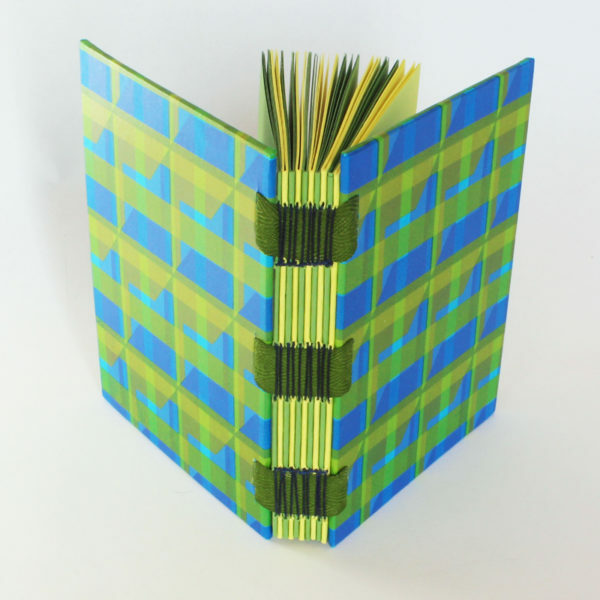 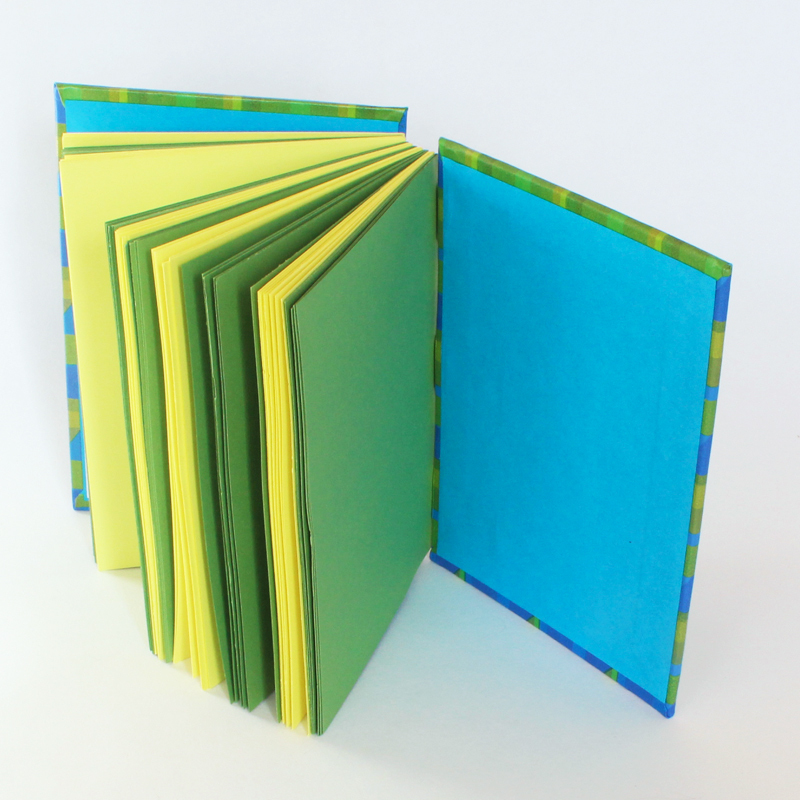 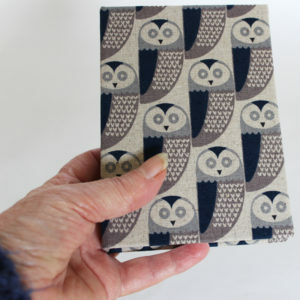 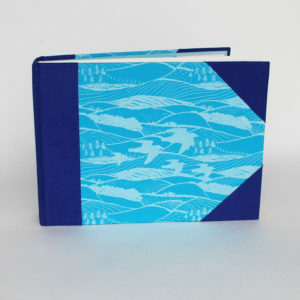 Hand stitched and bound, the hard back covers are of hand printed paperin a geometric design using metallic yellow with green and blue, lined in blue . 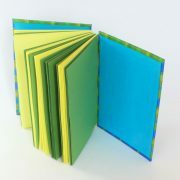 The pages alternate in signatures of green and yellow with 6 pages in each group- 60 pages in all. 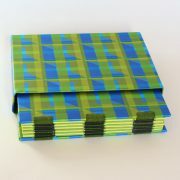 Finished with a simple open spine binding.